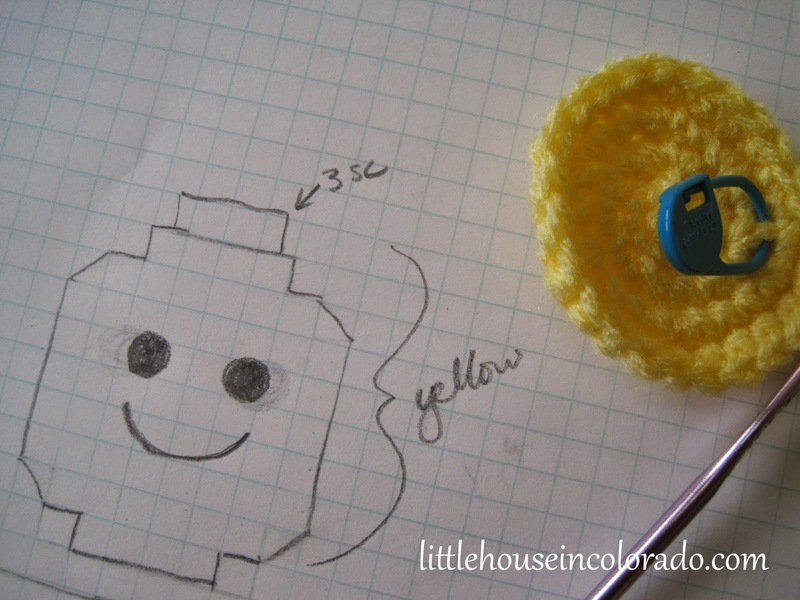 Mr. LH suggested to me back in September that I should try to make an amigurumi Lego mini-figure for The Boy. That sounded like a great idea to me but I couldn't find a pattern anywhere. In fact, all I could find was this sketch on Flicker that someone planned to turn into a mini-figure someday and this one, that while now completed, it MUCH too big for what I want (though I'm sure The Boy would LOVE LOVE LOVE to have one this size!!!). I also found a great looking plush mini-figure which unfortunately is no longer available for purchase. Since I couldn't find a pattern, that meant I would have to create my own pattern (ugh) and experiment (double ugh) so the project was put on the back burner for awhile (although I would occasionally think about it while trying to go to sleep at night - which made it especially difficult to go to sleep). 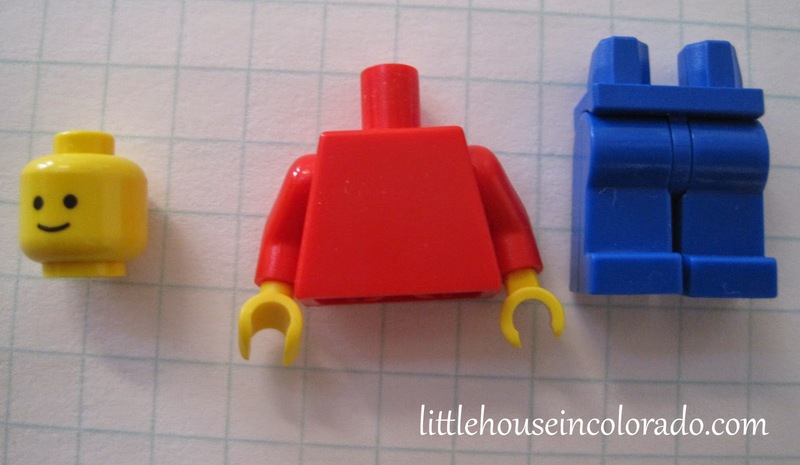 Several things came together to make me decide to at least TRY to create a Lego mini-figure. First, I found the graph paper that had been lost for several months. This was important since I knew I would have to draw it out to get a visual idea of what I was doing. Second, Christmas AND The Boy's birthday were both right around the corner and I was at a loss as to what things I could make/buy for him. And finally, I had just finished making a stocking cap for my best friend and was still in the mood to continue crocheting. So I picked up my graph paper and began to draw out what had been on my mind for a couple months. 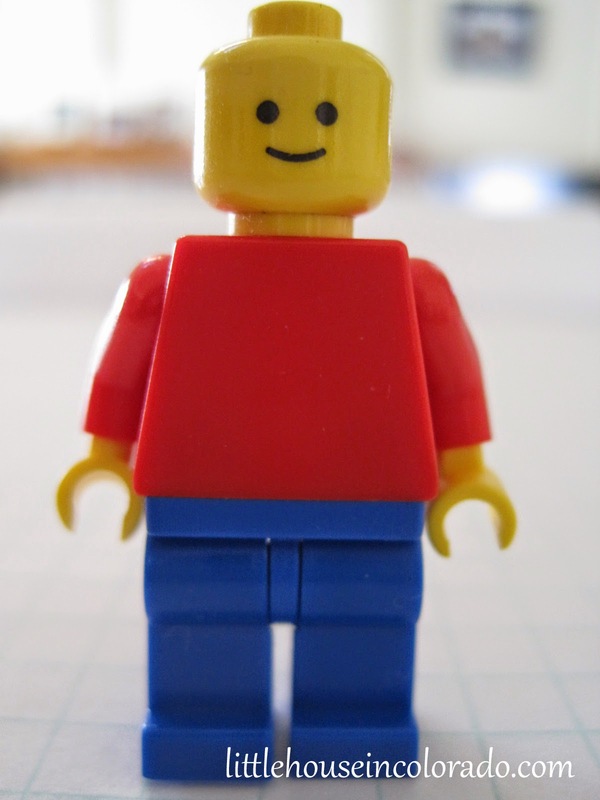 I needed to use one of The Boy's mini-figures to determine the correct proportions so I chose "Bob" - the same one I used as a model for his birthday cake. I pulled him apart and compared heights and widths of each piece. 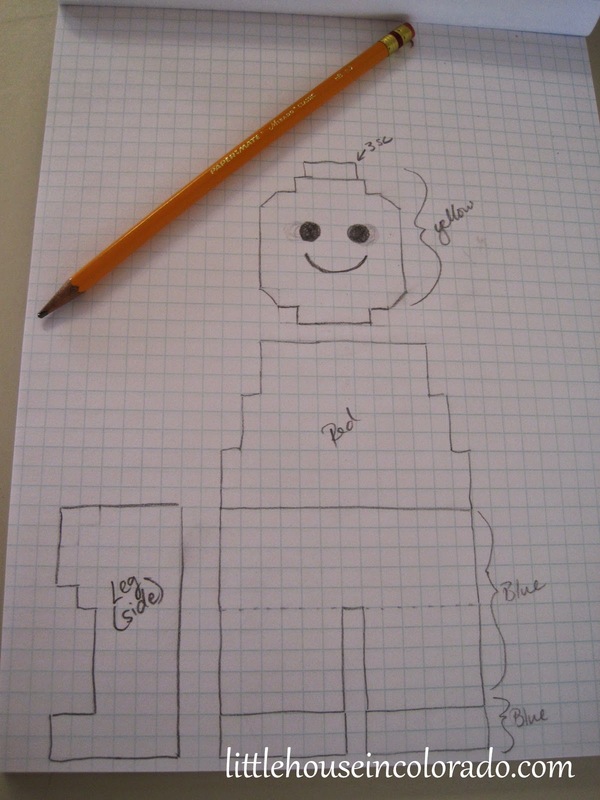 Then I was able to draw out a sketch on graph paper of how I thought this guy should go together. Already, this was a ton of work and I had little time to spare - but I knew The Boy would love the finished product. I got the head done, though the face wasn't quite right.